The Department of Trade and Industry (DTI) and two of its entities, the South African Bureau of Standards and the National Regulator for Compulsory Standards, achieved clean audits, three entities received unqualified audits with findings while one entity received a qualified audit. The Auditor-General of SA’s (AGSA) Office expressed excitement about its enhanced audit methodology of early intervention and tracking throughout the audit, focusing on identifying risks and bringing in experts where necessary. The Accountability Framework of “Plan, Do, Act” had to be implemented by all auditees. The Minister of Trade and Industry noted the difficult year experienced but strongly believed the industrial development challenge could be addressed by using the levers of incentives and localisation. The Black Industrialist programme was one of the flagship programs. The incentives program had its naysayers but he cited strong evidence of the impact on industry where incentive programs did not exist. He argued strongly against SA signing the optional Protocol on Transparency in Government Procurement as it would destroy the localisation programme. The Minister noted the upcoming months would be very intense on the trade negotiating front. The Tripartite Free Trade Agreement between COMESA-EAC-SADC states was signed but the Tariff Schedule Agreements had to be negotiated. The World Trade Organisation Ministerial Conference would take place in December. Business confidence remained weak and consumer confidence was disappointing as employment prospects remained poor. There was an excess of supply locally as purchasing power remained low but SA’s trade balance was in surplus and total exports grew by 10% to R296 billion in the second quarter of 2017, with Africa being a key market for South African products. The Minister believed the global glut of steel created a very real threat that SA could lose primary steel making but retaining steelmaking was critical as the country did not have the port capacity to import all the steel currently manufactured. When questioned, the Minister expressed support for industry engagement with, and input into, the Mining Charter. The SA Bureau of Standards (SABS) raised concerns in respect of the AGSA’s report which the Chairperson wanted resolved by hearing both SABS and the AGSA on the matter - SABS reached a stage where growth was dependent on the policy stance and the entity was engaging with DTI in reconsidering policy structure of the entity. Following the report of the National Regulator for Compulsory Specifications (NCRS), the Committee suggested NRCS needed an overall turnaround strategy with DTI and the AGSA. The backlog of testing had been alleviated but was now growing once again. Introduction of a modernised IT system that would assist with operational issues was delayed and the Committee determined to monitor the process very closely. On an operational level, non-compliant products worth R68 million were found in the South African market and specifications were developed for the electronic tolling system in Gauteng. The Chairperson opened the meeting, apologising to Minister and Deputy Minister for the late arrival of Committee Members. She was unable to commence as at least four members had to be present to constitute a quorum. Ms Corne Myburgh, Business Executive, AGSA, informed the Committee the AGSA’s Office enhanced its audit methodology to ensure Departments and oversight Committees received a valuable and relevant product. This product was the result of robust and methodical process including in-depth research, numerous local and international discussions and thousands of hours of testing. The audits would therefore be more focused and integrated with the robust risk approach to continue driving accountability and good governance. The AGSA’s Office was engaging in early intervention, tracking throughout the audit and, at the end of the day, providing reports. The AGSA wanted to make an impact in terms of the work his officials were doing. The auditors focused on identifying risks and bringing in experts where necessary, especially Information Technology auditors. Auditors were very excited about the new methodology. The Auditor General had a plan for the year’s auditing. Internal controls had to be strong so that money could be tracked. The Accountability Framework of “Plan, Do, Act” had to be implemented and the AGSA expected checking and monitoring. The AGSA’s Office noted a particular emphasis on corruption which was identified as a monopoly plus discretion less accountability. The audit of DTI included the Department as well its ten entities. Six auditees, including the DTI, achieved a clean audit with no findings which meant the financial statements were free from material misstatements and there were no material findings reported on performance objectives or non-compliance with legislation. DTI was noted as “improved”. However, three auditees received unqualified audits with findings. These were the National Consumer Commission (NCC), National Credit Regulatory (NCR) and South African Bureau of Standards (SABS). NCS and NCC were working towards rectification of errors. SABS moved from the Generally Accepted Recordkeeping Principles (GARP) to the International Financial Reporting Standards (IFRS) but had struggled with requirements of the new system, which led to problems with the audit. The National Regulator for Compulsory Specifications (NRCS) received a Qualified Audit with Findings. The AGSA recommended NRCS focused on process and did internal reviews. The entities needed to understand requirements for the Supply Change Management and compliance. In the audit of DTI, the AGSA focused on Programme Six in which there were no material findings as all targets for incentives were achieved and were compliant and accurate. No corruption was found in DTI or any of the entities. Ms P Mantashe (ANC) enquired which entity made a salary overpayment. Ms Myburgh responded that DTI itself made this overpayment. The Chairperson announced that a photographer, Mr Kirby, who had offered valuable input on photography during the Copyright Bill inputs, had passed on. The meeting observed a moment of silence. 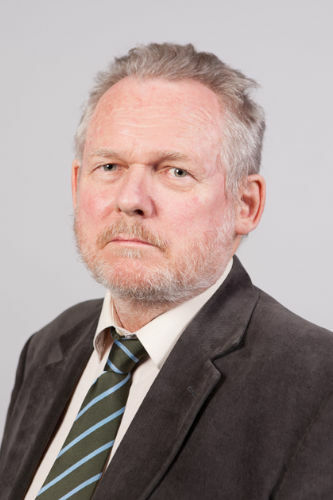 Minister Rob Davies noted the year in question in the Annual Report coincided with a very difficult year in the SA economy, although there was a very welcome return to growth in the Department. Growth was not near where it needed to be, nor was inclusivity of the growth near where it needed to be. The challenges were to make interventions more effective as DTI moved forward. The AGSA’s Report indicated funds went to projects to which they were intended to go and incentives had made a difference but, in the light of the challenges of diversifying the economy, industrialising and creating greater inclusivity, the Department had a long way to go. DTI remained optimistic it would be able to command a decent budget under difficult circumstances but expectations could not be created that there would be additional resources in the current fiscal situation. If one looked at the industrial development challenge, and going back to the National Industrial Policy Framework which identified and scoped potential areas of action to support industrialisation, there were 13 levers, two of which were important – incentives and localisation. Under the tough budget circumstances, DTI was going to address localisation. He was aware the Portfolio Committee did a lot of work on localisation and had noted leakage in the system - leakage needed to be addressed. DTI would work on it but the Department of Performance Monitoring and Evaluation would also be looking at it to plug the loopholes. Any support from Parliament was very useful in identifying those leaks. There were some supply and development issues but Transnet and Eskom were exempted. For everyone else, once National Treasury issued a Practice Note on localisation, it would be compulsory for all public entities to comply. He looked forward to the time when there had to be compliance with localisation and if compliance did not happen, there would have to be at least a finding in the audit report, and consequence management would follow from there. Minister Davies recently met with the Manufacturing Circle, representing the industrialists, as well as Business Unity South Africa (BUSA), and suggested to them that DTI needed to engage with the private sector as the Department could not impose localisation on that sector in the way it could with government. DTI would work with Proudly South African to encourage retailers and others involved in making procurements to enhance local procurement of Proudly South African products. Ordinary consumers should also be encouraged to buy local. Localisation was going to be an area of focus as DTI moved ahead. The rest of the year would be a very intense year on the trade negotiating front. A process was initiated at the COMESA-EAC-SADC Tripartite Ministerial meeting a few weeks previously. The Minister noted that all, or most, signed the Tripartite Free Trade Agreement but this was not commercially meaningful as the Tariff Schedule Agreements were not in place. Most countries signed the Tri-Partite agreement but there were no tariff agreements. The one that was most ahead and almost completed was between the SADC Customs Union and the East African Community. There would be a series of engagements with senior officials commencing on 12 September 2017 and culminating on 14 September 2017 at ministerial level where it was the Minister’s ambition to conclude the tariff schedule and that would be a significant advance in the commercially operational aspects of enlargement of regional integration. Work was also underway on a number of engagements that would lead to adoption of a framework for the continental free trade area. South Africa was the Chair of SADC and the Minister arranged with the Executive Secretary of SADC that, sometime in the following month, DTI would take a delegation to Botswana to look at the SADC Regional Industrialisation Strategy, with a view of extracting and fast tracking those aspects of it which could be a minimum fully applied set of work that could be applied to value chains in the SADC region. Also of significance was the World Trade Organisation Ministerial Conference which would take place in Buenos Aries, Argentina, in December. A series of engagements would start the following week in Addis Ababa where an African position would be discussed, followed by a mini Ministerial Conference in Morocco and then there would be a national consultation and the Minister would go to Parliament to present the positions he would take. He would also take a delegation, as had been done before, although it would have to be a shrunken delegation given where it was and budget issues. The World Trade Organisation Ministerial Conference was quite important, although whether anything or much would happen, remained to be seen. There were many proposals on the table, although not many had much traction. Linked to industrialisation, the Minister stated the Black Industrialist programme was one of the flagship programs which, even from the Audit Report, one could see targeted quality industrialists who would benefit from the program by moving up and enhancing capacity. The target was to support 100 Black Industrialists by the end of the current financial year - 62 were already approved. The program was important and had come totally from re-prioritisation of funds within the Department. On the audit outcome, he noted a steady improvement with no findings that could be called corruption but only administrative issues to be attended to. The target was for all auditees to be Green. DTI had many engagements with the AGSA and worked hard to identify early issues emerging and to find solutions therefore. The intention of the Department was not to focus on receiving a reasonable audit outcome but to focus on areas for improvement. The Deputy Minister, Mr Bulelani Magwanishe, had nothing further to add as the presentation by the Minister was the consolidated view of the Ministry. Mr Lionel October, Director-General, DTI, explained he was hoping to receive a larger budget in the new financial year as a result of the good performance of the Department. Of the R10.3 billion budget, 99.62% was spent whilst achieving a Clean Audit. The Department finally achieved 50% of women in senior management. Particular successes included the Black Industrialist Programme, in which over R3 billion of investments were leveraged and 7 000 new jobs were created. The Broad-Based Black Economic Empowerment (BBBEE) Regulations were gazetted, the BBBEE Commission was operationalised and the Commissioner was appointed. The eighth iteration of the Industrial Policy Action Plan (IPAP) was launched with strength and support for Black Industrialists and Economic Transformation to grow productive sectors such as Agriculture Manufacturing and Mining. The Equity Equivalents Investment program was insuring skills development, enterprise development and research, leading to the creation of 241 job opportunities. Vehicle and bus manufacturing expanded, as had footwear and clothing. The DG noted the challenges in respect of the rail and locomotive tenders. Mr October noted the world economic outlook was subdued and on balance risks to the global economy remained skewed to the downside. SA had fallen into a technical recession as Gross Domestic Product (GDP) contracted by an annualised 0.7%, quarter-on-quarter in the First Quarter of 2017. Production increased only in the agricultural and mining sectors, while it contracted in the rest of the sectors. Agricultural production would likely continue with a record bumper harvest. Manufacturing was under pressure in the First Quarter and the Absa Purchasing Managers’ Index (PMI) fell to levels last seen in the second half of 2009. Underlying indicators also deteriorated and the July outcome predicted a weaker manufacturing sector outlook. Business confidence remained weak and consumer confidence was disappointing as employment prospects remained poor. There was an excess of supply as factories were producing but no one was purchasing. SA’s trade balance was in surplus as total exports grew by 10% to R296 billion in the second quarter of 2017, with Africa being a key market for South African products. Mr D Macpherson (DA) stated that, from the report, it seemed DTI did not do enough - there were not just leakages regarding localisation in state-owned enterprises, the dam wall was broken in state-owned enterprises. The previous week, Transnet appeared before the Committee and could not account for any localisation in the country. It could not account for the billions of Rand siphoned off by the Guptas. It could not account for anything that was going on in the locomotive contract. Unfortunately, it had been the job of DTI to enforce compliance as SABS was supposed to do the verification and the entity had not done so because it was hamstrung by funding. South African Airways (SAA) was not supporting local business and tenders were being handed out irregularly with no assistance from DTI. The President awarded R70 billion worth of tenders to China the previous week and nothing was to be built in SA. It violated tender processes and local procurement and DTI did not do anything. It was not a problem of confidence in the country, it was the problem of politics that was killing the economy of the country. While DTI wanted to do one thing, the comrades and compatriots of DTI were doing another. What was the Minister doing to ensure government followed its own procurement processes, localisation drives and ensured business could benefit in the way it should from government contracts? Mr Williams congratulated DTI on overall improvements in audit outcomes for the entities but wanted to know what DTI was doing about financial and performance management. The Minister emphasised localisation but the previous week, Transnet had not talked much about localisation. The Committee asked many questions as Members had been on an oversight visit to many factories and had seen a problem with localisation. Was there a mechanism for monitoring localisation, and if there was such a mechanism, could the Committee have the report? If there was no mechanism, then why was there not one? It seemed money was being thrown into local companies, expecting other local companies to procure from them and when they did not, nothing happened. It seemed the Committee stumbled onto that fact and the Member did not think it should be stumbling onto such facts. DTI should be telling the Committee there was a problem that certain entities in government were not buying and that DTI would like the Committee to intervene. Ms Mantashe appreciated the improvement in performance on the part of DTI and its entities. She was concerned about NCR, NCC and SABS and asked DTI whether there were consequences for non-compliance. Why was there over payment on salaries, what were the consequences, and was there any correction? Ms N Ntlangwini (EFF) was concerned about Transnet as it could not tell the Committee about localisation and had no understanding of localisation. Transnet seemed to think that when one was from SA and touched a particular material, that was localisation. The Black Industrialist Programme had spent R3 billion on job creation. How many of the 7000 jobs were permanent and what was the minimum wage within those 7000 jobs? The Chairperson asked about the Consumer and Corporate Regulation division which had fully spent its budget. In addition, there was a virement of R1.4 million to the program. It appeared the division itself had not delivered on particular targets. She requested clarity. The Minister stated DTI tried to give a frank and honest assessment. The Department had not tried to say that everything was well in the economy and in localisation. He assured Mr Macpherson that he had not tried to butter up his report card but everything that Mr Macpherson said sounded as if he were in the Portfolio Committee for Public Enterprises. In terms of localisation, the Committee needed to understand there were different procurement regulations and that Eskom and Transnet had its own supply and development programme. Eskom and Transnet were not covered by the DTI localisation program. That in itself might be a point for debate but those entities were supposed to develop its own localisation programmes. Where the Minister saw cases, or a court judgement, that a tender was gained by someone who imported locomotives whereas the loser of the tender would have manufactured locomotives in the country, he found it a matter of serious concern and would raise it wherever he could as it should not be happening. DTI did some monitoring of localisation and encouraged local procurement. The best performer was the South African Clothing and Textile Workers’ Union that informed DTI when localisation was ignored and some manufacturer did not procure locally. They required that producers and manufacturers reported when someone obtained a tender that did not support localisation. Many years ago, the current Deputy President had, as a businessman, commissioned a report in which there was the example of Abadare Cables which employed 1 000 people but a tender was given to someone in the name of black empowerment. That person imported the cables which meant the loss of 1 000 jobs in SA. The rhetorical question was whether that was a gain or a loss for Black Empowerment. Because it meant losing jobs, it was a net loss. Localisation was not the same as empowerment but it was necessary to do both localisation and empowerment – not one to the detriment of the other. Treasury Notes indicated the percentage requirement of localisation per industry. It was a technical exercise to determine what the percentage of local content there should be per industry. Once a Practice Note was out, it was no longer an option. It was law. Monitoring needed to be improved but it was not just up to DTI to do that. That was why DTI was talking to the AGSA. It should be an audit finding when someone imported something when there should have been localisation. The Department of Monitoring Performance and Evaluation was going to be looking at the entire scope of localisation. The tool of localisation simply had to be made more effective. He had spoken in the committee of the World Trade Organisation (WTO) rules. The country was not a signatory to the optional Protocol on Transparency in Government Procurement. Anyone who was going to sit in that position in 2019 had to tell the country whether it would be signed or not signed. If it were signed, then suddenly everyone that was in that plurilateral would have the same access to tenders and the tool of localisation would have been signed away. The Minister sincerely hoped there was consensus in the country that the optional Protocol would not be signed so that the localisation policy could continue. The second point was the trade-related investment measures. SA could not, without finding itself in the WTO, tell the mining industry there was a designation on mining equipment. There had to be another way. Whether DTI succeeded or not, it was working with other departments. If the dam wall was broken, there would be nothing to be done but he believed there were leakages and it was necessary, and possible, to plug as many of those leakages as possible to ensure localisation became more effective. One entity that improved was the Companies and Intellectual Property Commission (CIPC). The Minister cancelled a dodgy ICT contract and the company went to court. Newspapers sent questions, the answers to which were used against DTI in court. DTI decided not to seek a deal but to cancel the contract. It had not been easy but there was now no corruption or irregular expenditure in any entity under DTI. There were systems issues hence the Minister and DTI were meeting the Office of the AGSA regularly. The change in accounting systems had caught out a couple of the entities but those matters could be put right. The NRCS had not recorded its revenue correctly. Many people would say that it was not a big issue and it should be left but this was not the DTI approach – DTI wanted to put matters right for all entities under the Department to receive a clean audit. Mr October responded to the question on consequence management in the entities and explained DTI established a committee consisting of the chairs of all the audit committees in the DTI entities which met regularly to assess progress. DTI engaged with senior management in the entities very vigorously to ensure technical issues were dealt with. Ms Ntlangwini’s questions related to new jobs - one of DTI’s requirements was compliance with the Labour Relations Act and the Basic Conditions of Employment Act. That was critically important. Anyone who did not follow those Acts was turned down and no grant was paid. The application of those Acts was monitored in cases where employers were going to create employment. Payments by DTI were sometimes delayed because physical inspection needed to be carried out before second payment. It was important for DTI to see that wage levels were raised. When the new Minimum Wage Act came in, that would also be applied. Mr Shabeer Khan, CFO, DTI, responded to Mr Williams about financial and performance management. The AGSA categorised the findings on three levels, namely, leadership, financial and performance management and governance. Findings raised in the audit were around performance management which included areas in which the Department could improve, especially with regard to collating and verifying information so that, when presented to the AGSA, it was in a format that was complete. DTI did have a performance and monitoring committee to provide oversight of the entities. The Department also sat on the audit committees of the entities to ensure oversight and to become involved where there were areas of concern. The overpayment of salaries, as queried by Ms Mantashe, was regarding an employee who was paid after leaving. The inherent problem was that government employees were paid on 15th of the month and so if employees resigned after receiving their salary, the Department was always on the back foot and had to recover it, but, in that particular case, it would be recovered from the pension fund. DTI had strong debt management processes. The Chairperson reiterated her question regarding the R1.4 million virement - there seemed to have been a virement because targets were not met. What was the reason for the virement in that particular case? Mr Khan explained that virements could be processed on the budget with approval of National Treasury and were mostly in the incentive programmes. When there was a high demand for incentives, monies were moved around. With the Consumer and Corporate Regulation Division (CCRD) virement, there was request for monies to be moved to support operational work as money was spent on a legal process regarding the lottery and on a Bill for Parliament. The Chairperson asked about the targets in relation to the CCRD virement - some of the original targets were removed and she wanted to know why. Mr Macpherson stated the point he was making was that Treasury Notes were being ignored by government entities and DTI was unable to enforce its own instructions to support localisation. Those were the words of DTI officials who had come to address the Committee. What was the Minister doing to ensure that government entities actually did what they were instructed to do? He turned to the matter of legislation - the Copyright Amendment Bill was a huge embarrassment for the Department. Where did the problems lie in respect of that failed piece of legislation? He asked the Minister how he presented the Copyright Bill to Cabinet and why he thought it a good Bill when the Committee rejected it in its entirety. He asked the DG when Ms Ntuli’s position as DDG: Consumer and Corporate Legislation would be filled. 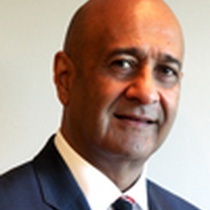 When was the National Gambling Board’s (NGB) permanent CEO going to be appointed? The Minister had two years previously indicated those found guilty of misappropriating funds etc, would be held accountable. What steps were taken to ensure this took place? He asked for comment on the R70 billion Chinese contracts that would see jobs taken away and money leaving the country. Mr Williams asked the AGSA which entity was the most worrying and which areas in DTI were of most concern to the AGSA and therefore to the Committee? Ms Theko heard there was slow progress on BBBEE and asked what could be done to improve the targets. She also heard there was an intervention on the NRCS, NCC and SABS - what was the intervention? Was there a lack of capacity and were key and competent officials to be appointed to arrest the problem? The cause was that there was a lack of key officials and competencies. The Chairperson congratulated DTI on the Clean Audit and on paying creditors within 30 days as well as appointing 50% women in senior positions. The Commission had an internal audit committee but surely one of its core responsibilities had to be to check up on procedures and general compliance? The internal audit committee slipped up so badly that it had not picked up the issues which could have been addressed by the Department. The Minister explained that an Instruction Note was issued by National Treasury and so any defiance thereof was a defiance of law – this was not only the problem of DTI. Also, there were many entities in government that had to adhere to an Instruction Note. Localisation applied to every business. It was not the job of DTI to monitor, although it did monitor implementation of the Notes as the Department liked to get an idea of problems and did invite complaints. However DTI did not police localisation requirements. Emphasis was on ensuring compliance was addressed in conjunction with other departments. DTI could deal with non-compliance in various ways but one of the things that needed to be done on a broader level was enforcement of localisation. Some of the businesses were small businesses that simply did not know about the Treasury Note or had simply forgotten about it but others were corrupt and deliberately ignored Treasury Notes. Whether it was possible to enforce localisation remained to be seen. If the Portfolio Committee uncovered issues where localisation was not happening, it should convey the information to the Department. The Minister informed Mr Macpherson that he was not at liberty to produce what had been presented to Cabinet on the Draft Copyright Bill but Cabinet considered it and decided it had to send the Draft Bill to Parliament to deal with it. He noted public input added many factors and policy issues, not in the original intention of the Bill, which had been to deliver on the Farlam Commission (the Copyright Commission and not Marikana Commission) to address needle time payments to music artists in SA. He accepted the legal unit in the Consumer and Corporate Regulation Division (CCRD) division at DTI was weak but the process of sending the Bill to Parliament was the right one. The liquor and gambling legislation were a little further back as DTI wanted to ensure they did not have the same flaws. The Minister indicated he himself spotted some of the problems in the Draft Bill and had sent some things back but he was not a lawyer which was why the parliamentary process was important. Cabinet had not expected the Bill to be passed as it stood and had accepted the improvements. The CEO of CCRD was to be appointed. As far as the NGB was concerned, DTI was waiting for the completion of the Gambling Bill so that members of the Board could be appointed in terms of that ruling. In BBBEE, fronting was prevalent and quite complex in the way it was structured. The Committee could ask the Commissioner for BBBEE to address the Committee on these matters. There was a threshold for BBBEE and all deals above that threshold had to go to the Commissioner. In the same way that localisation was no longer an option - all entities of the state were compelled to adhere to BBBEE. “Best endeavour” language was taken out. The norm was level IV, although the motor industry was given a little time to get there. Mr October referred to the filling of posts - as far as the CCRD: DDG post was concerned, the advertisement had gone out and the closing date for applications was 15 September 2017 and thereafter the post would be filled. The NGB currently had a Board and had appointed a CEO. DTI recommended the appointment of a Gambling Regulator rather than a Board as Boards did not necessarily stick to its mandates. DTI would fill the positions as soon as legislation was approved. NGB currently had an Administrator. Ms Zodwa Ntuli of the BBBEE Commission already issued some Notices for non-compliance and dealt with companies on the Johannesburg Stock Exchange. She had also written to government departments and entities, including DTI, around recording BBBEE. This already had an impact on BBBEE compliance. He agreed with Ms Theko that it was the quality of officials that was problematic. SABS appointed a CFO and an acting CEO had been appointed to NRCS while other people were seconded to NRCS and matters had improved. There was no longer a backlog at NRCS - the next goal was a clean audit. DTI addressed the management, staff and trade union relations at NRCS. DTI seconded a finance person to strengthen financial capacity at NCC. At CCRD, DTI assessed weaknesses with regards to technical capacity but expertise was brought in and there was training which also resulted in an improvement. The Estate Agency Board was transferred to the Department of Human Settlements. DTI would look for the forensic report on the NGB but he knew it had been done properly as it had faced legal challenges and the Minister acted very robustly in dissolving the board. The NGB was under administration. The Chairperson appreciated the great opportunity that the report had given the Committee to engage with the issues. Mr G Cachalia (DA) noted that, in terms of global best practice in reporting, there was a move towards more integrated reports. He suggested the Department note that especially when reporting about programmes. In current reports, goals, objects, targets and the quantum of investment were indicated but he was particularly interested in what monitoring was in place and how it was evaluated. He mentioned a few examples of what would be interesting to monitor. In terms of steel, he asked who benefited and who did not. The Chairperson requested the AGSA respond to Mr Williams’ question. The office of the AGSA stated the four entities that were not clean had had financial statements that required correction before it could be considered reliable. The entities also had supply chain management issues where they had irregular expenditure in the supply chain. NCC was the most concerning entity. The other entities knew where the problems lay and were working on rectifying them. NCC was a difficult audit and there was a lack of urgency in responding, supplying information and in doing the right thing. Two areas of serious concern were the monitoring review and having regular and accurate information available. Mr Macpherson returned to his concern about the R70 million that was going to Chinese companies - was the Minister going to have a discussion with the President and ask why two big contracts worth R70 billion went to the Chinese? There would be no creation of local jobs while money went offshore. What was the Minister’s involvement in the drafting of the Mining Charter? Mr Macpherson knew the Minister met with Minister Zwane and that DTI provided technical advice on the Mining Charter, which had wiped R50 billion off the stock exchange. The matter went to court and was a complete mess. The Charter would not do anything for black empowerment - it was going to hollow out black empowerment and would only entry for the connected and selected. Did the Minister believe the Mining Charter was good for business in SA? Why was he involved and did he stand by the Mining Charter? The Chairperson asked about Trade, Investment and Exports. She noted that some investments entailed job creation and construction, such as Hitachi building a desalination plant. She asked whether the construction of the desalination plant had begun, or any of the other projects. She noted her real concern was job creation and asked that she be given further information about Trade, Investment and Exports in relation to job creation figures. The Minister told Mr Cachalia that DTI was always available to improve reports on outputs and outcomes, not only because it gave Committees the opportunity to oversee DTI but also because it helped DTI in its own work so any improvements would be supported. On Black Industrialists, he indicated that once they were approved, DTI had to ensure a physical inspection took place to ensure commitments and targets etc. were met. On the Industrial Parks, he could not say what the direct outcomes were as it was sometimes hard to measure direct outcomes where fencing and physical infrastructure of the facilities were upgraded, although many investors said the upgrade was necessary. DTI would get more information as time went on. The question of the subsidies, or incentives as DTI preferred to call the funds, was always whether it was going to provide additional investment or activity, or whether it was just providing money for people who would they have got there anyway. The auto manufacturers were in endless discussions about incentives. A counter-factual was necessary. Australia was an example of what happened when incentives were removed from the auto industry. The motor factories in Australia closed down once incentives were removed. It was a question of judgement in terms of getting value for money for commitments made. It was a balance of forces. Not everyone had to come and invest but the way had to be smoothed for those who did wish to invest. The Minister gave an example of how New Orleans dominated the film industry because it offered subsidies whereas Hollywood did not. The Committee had to look at the work that Invest South Africa was doing. One could not compensate only with money and so the experience and the efficiency of decisions had to be improved. There was not time for an in-depth discussion but he wanted to mention the global glut of steel and the very real threat that SA could lose primary steel making. Government was not always happy with the steelmakers but it was trying to create a balance and get commitment downstream from manufacturers as well. Government was trying to retain steelmaking as it would mean that SA would have to export iron ore and, in fact, the country did not have the port capacity to import all the steel that was currently manufactured. Many industries would be damaged if steel making stopped. The Minister pointed out Mr Macpherson would disagree with him no matter what he said and would always take the opposite view. The R70 billion related to two infrastructure projects, the Moloto Corridor and the Umzimvubu Dam Project. The infrastructure matters were in the realm of the Presidential Infrastructure Coordinating Commission (PICC). In all infrastructure work, government sought localisation. However, localisation did not mean the company had to be a South African company. Localisation meant the investor had to build in SA. Hisense opened a large factory in Atlantis making televisions and white goods using South African workers. In respect of the R70 billion contract, one could not come to the conclusion there would be no localisation. The Minister made it very clear the Mining Charter was proclaimed by the Minister of Mineral Resources under the Mineral and Petroleum Resources Development Act, not under the BBBEE. DTI gave the Department of Mineral Resources (DMR) certain information but had not engaged in the Charter so the information and advice DMR took from the input had been its call. The Mining Charter was agreed to by Cabinet and the Minister was part of that collective. It was a stretch to say that DTI had co-wrote it because it had not. Mr Macpherson pointed out that he had asked a direct question - did the Minister think the Mining Charter was good for investment, job creation and mining? The Minister stated he agreed that DMR needed to go back and talk to the industry. Ownership patterns in the industry needed to change but there were issues that needed to be talked through. Mr October commented on the status of investment projects, some of which had been completed and that DTI reported on it in its presentation. The Impact Project was launched but Hitachi was still under construction. The auto plant in Coega was also under construction but the Committee would be updated in the quarterly reports. The Chairperson noted there were designations on the meter boxes which was one of the things she raised with DTI five years previously when she noted municipalities were importing meter boxes. It was great progress these were designated because they could be produced in the country. Regarding the Black Industrialist Programme, the Chairperson was disappointed that the Department had to reprioritise to carve out funds for the programme. It was an imperative programme for transformation. She thought funds should be ring-fenced in the budget across Departments. Industrial Parks had, for some years, been left to lie there so it was good news the refurbishment was approved and done. The Chairperson believed there were some challenges but when one looked at the economic conditions in the country and in global environments, she believed it could be said, broadly speaking, there was significant progress and that was recognised, together with the clean audit. The Committee would be engaging with SABS and the NRCS but the Committee might have to bring back the NCC and the NCR. Dr Boni Mehlomakulu, SABS, CEO, made some remarks relating to the AGSA’s presentation – in respect of the statement about the entities that were always problematic in terms of the audits, she would have hoped either the Minister or the DG would have engaged the issue. Over the past five years, SABS received clean audits and had led the clean audit revolution in the DTI family. She noted the reasons given to the Committee and the Department by the AGSA in respect of the findings were not the same reasons given in the SABS Management Letter. She objected to statements by Members that SABS was a delinquent entity as 2016/17 was the first unqualified audit with findings the entity received eight years. SABS received clean audits every year since she became CEO. She indicated that SABS would take further discussion with the AGSA. The CEO informed the Committee that government was a stakeholder as the entity received a 24% government grant. She explained SABS was instructed by the state to consider privatisation of some of the entity and so it established SABS Commercial which received approval to go ahead in 2005. SABS continued to operate in the statutory role as it had originally been set up as a public service body while SABS Commercial managed the more commercial ventures of SABS. SABS Commercial had to compete with large international organisations offering similar services. Ms Boitumelo Mosako, CFO, SABS, presented the highlights of the Annual Report presentation. She noted that SABS Commercial, which accounted for 75% of the organisation, received a clean audit. She explained the Office of the AGSA was incorrect as SABS had never used GRAP. SABS had used the SA GAAP accounting system and the Accounting Board was given directive to cease using SA GAAP. SABS had moved to IFRS as it was an easy move because the accounting principles were the same. The error identified in the audit related to inter-company and inter-divisional transactions of SABS, so the error had neither effect on profitability nor any impact on the group - it was the opinion of the AGSA that the error was material enough to warrant an unqualified audit with findings. SABS received a new Thermal Test Chamber for the first ever testing of refrigerated trucks. The grant from Parliament was reduced by R68 million resulting in a net loss of R44.4 million. SABS was working towards a clean audit. SABS had not met the targeted revenue for the first quarter but the operating profit was above target at 2.4%. The ICT transformation journey entailed automating processing over three years. SABS was confident that non-financial targets would be met. SABS was to hold a conference on World Standards Day, 14 October 2017 - the International Organisation for Standardisation (ISO) President, currently from China, and the President-Elect from Canada, would be attending. The SABS CEO had a seat on the ISO Council. The Chairperson asked the CEO about the verification that SABS did for some of the entities. She understood that it was an unfunded mandate and therefore asked who paid. Dr Mehlomakulu explained the instruments were available in the country but SABS had challenges that were well documented and covered in the media but the entity would work in line with DTI’s mandate. Where public entities wanted verification, they paid themselves. The SABS verification programme was intended to be self-funding and there should be instruments on the other side to enforce it but enforcement was difficult - entities expected the services but did not want to pay for them. 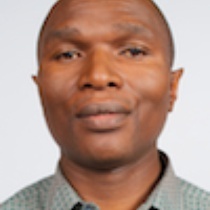 The Chairperson said the Committee Secretariat tried to contact the presenters from the Office of the AGSA but was unable to make contact – if the presenters could not be contacted, they would be required to come back to address the issue raised with the Committee by SABS and explain the discrepancy. Ms Theko noted the reports of the AGSA and SABS were not in agreement. SABS could not report to the Committee that it disagreed with the AGSA – the two needed to resolve the matter without confusing the Committee. SABS spoke about all the previous clean reports and then simply noted it had an unqualified audit with findings in 2016/17. The AGSA stated in the audit report that there was a problem with SABS. The CEO needed to explain to the Committee exactly what she disagreed with in respect of the AGSA’s report. The presentation had not fully explained reference to the structure from 1972 - what did SABS want to change? Mr Williams commented that the presentation by SABS focused on the economy and unfunded mandates whereas the AGSA’s report focused on oversight and effective HR management. There was drop in indicators such as financial management, leadership, personnel management etc from code green to yellow. The previous year SABS had two yellow squares in the audit and now there were nine yellow squares, so there was a significant drop in performance. What mechanisms were in place to go back to green again? Or was SABS going to go to red? He wanted some detail on the mechanisms as the entity had not dropped in only one or two criteria, but in most. Why was SABS no longer keeping proper records? Mr Macpherson asked for details of the issue with the South African National Accreditation System (SANAS). The grant from government would continue to decrease so a plan to deal with the shortfall was needed – relying on investments would not suffice. Was there a plan in place? Was there discussion? Who determined strategic objectives? Some of the objectives were bizarre, such as the number of sector-specific publications produced - this was the role of SABS and not a significant achievement. Why did the entity measure itself on the number of doctoral students? What was the strategic point being measured here? In the First Quarter Report, the percentage of laboratories that were profitable was an objective but all laboratories should be profitable. Who measured the alignment with national imperatives? A strategic objective should be something such as how to generate more revenue to make up for the shortfall. SABS had to measure itself against matters that made a real difference. The Chairperson addressed a point relating to both SABS and NCRS where the latter had a disagreement over full and partial testing - could SABS clarify the disagreement? She acknowledged previous clean audits but stated that in 2016/17 SABS received an unqualified audit report – did the entity agree it was unqualified? Did it disagree about non-factual reasons for the qualifications? Why could SABS not explain GAAP and GRAP simply? She needed reassurance that the entity could explain it but she also needed clarity regarding the disagreement. Dr Mehlomakulu believed the work of SABS should speak for itself and it could not take time from important issues of the country defending the position. The Chairperson’s interpretation of the concerns with the audit was correct. SABS agreed with the qualified audit as some of the sample issues the AGSA chose to sample related to the HR space where someone was acting and there were issues. The CFO and the team had four months to dispute the results but had not objected, nor would do so. The issue was that the AGSA presented different reasons for the qualified report. The person who had presented the AGSA’s Report was not the auditor who went through the books of SABS and therefore could not talk about the matter. The 1972 infrastructure was good for the nation at the time but it was not commercial infrastructure. The change to the market -related approach came in 2004. The original purpose was to assist the country in regulating products. In 2008 the change to a commercial entity required a different process. At the moment SABS was commercial in respect of testing but it also had to make choices in respect of what was for the good of the nation. SABS needed to be for the good of the nation or commercial, but not both. The entity could not implement a single strategy as there was confusion between the two approaches. Audit changes reflected the fact that staff were different and they were given an opportunity to express themselves. Dr Mehlomakulu did not know anything about a conflict with NRCS and therefore could not engage on the matter. She had not received communication from the NRCS in that regard. She appreciated the difficulty of apportioning the budget but SABS had high priority needs. In respect of the reduced grant for SABS, the entity got the Minister to leverage funds to meet its increasing costs. Laboratories were not intended to be profitable. SABS was trying to make the labs commercially viable but the problem was that the laboratories were staffed to provide public services. People could not be retrenched so they had grown other profitable services, such as certification. As CEO, she did not intend to retrench people and put them out of a job to make laboratories profitable - the strategy was to balance revenue from other programmes until SABS could stand on its own and be commercial. The SANAS issue was a difficult one but SABS had a legal opinion on the position. It was against that legal opinion that SABS said the suspension by SANAS was unwarranted. Both were entities under DTI and the impact was causing loss of revenue. The legal opinions could be made available to the Committee. The commercial strategy was negatively affected. Ms Mosako indicated SABS was not disputing the outcome of the audit but the error that had occurred when it transferred from one accounting system to another which had multiple implications, although not at the SABS group accounts level. Ms Theko asked for a single report from SABS and the AGSA. The Chairperson of the Committee knew that the person who had presented for the AGSA was not the auditor herself but the inference from SABS was that the AGSA did not know what it was doing. To state that the presenter could not answer as she was not the one who had undertaken the audit was a very serious statement and the matter would need to be resolved with the AGSA in the presence of the Committee. Mr Macpherson asked for a business plan indicating the new service lines so that the Committee could track those service lines over the next 12 months. Ms Mosako explained it was a strategic objective to introduce new service lines and products to generate revenue. Mr Macpherson suggested SABS detail the plan for the service lines so that the Committee could assist SABS. The Chairperson requested SABS put the response in writing. Mr Edward Mamadise, Acting CEO, NCRS, clarified the issue of full or partial testing by SABS - the Executives of both entities had been engaging but the issue was not formally escalated to CEO level. At one point, SABS took a decision to cease partial testing. This had an impact on the NRCS as it tested according to compulsory specifications. SABS, however, wanted to test the full standard. Eventually the issue was resolved. The Chairperson asked who the two executives were. Mr Mamadise replied that in the case of the NCRS, it was Mr Bongani Khanyile. The Chairperson pointed out how things could go wrong when issues were not communicated further down the line and, on top of it, the CEO had put it in his Annual Report with the name of the person involved. It was an unacceptable breakdown in communication. Dr Mehlomakulu explained there had been a huge misunderstanding about partial testing. SABS had all the powers required to act expediently. In a legal opinion obtained by the Department, those clauses were deemed unconstitutional because of powers it gave to SABS. Practices that had come out of that ability for the organisation to act expediently were protected by the overarching regulatory law. When the Regulator moved out of SABS, legislation was changed in respect of conformity legislation. In the same year, the Consumer Protection Act was passed stating that all products in the country had to meet standards were developed in line with the Standards Acts. That meant the Regulator’s needs were fully catered for but SABS did not have the infrastructure to comply. There could not be a dependence on SABS laboratories. SABS tested what it could in line with legal instruments. The Chairperson wanted a written report from SABS and NRCS so that the Committee could fully understand the issue. Mr Mamadise outlined that the NRCS was governed by three Acts and therefore had three mandates. The Legal Metrology Act was added as an extra mandate in 2014 and had expanded the work of the NRCS but it had not been fully implemented as the entity did not have necessary resources. NRCS made a submission to DTI requesting guidance in respect of managing the work of the Legal Metrology Act. NRCS received a qualified Audit Report with findings. Amongst the findings was that revenue streams were not correctly reported. Strategic Manager, Edward Mathimba, and by Mimi Abdul, the newly appointed CFO. Key highlights of the NRCS’s 2017/18 first quarter performance included inspection of 6 985 fishery and associated product assignments. The NRCS conducted a further 5 120 inspections of automotive, electro-technical products, chemical, material and legal metrology related products. Non-compliant products worth R68 million were found in the South African market. The Modernisation Project was a suite of interdependent IT strategies that the NRCS planned to deploy to deal with organisational challenges. The Project was a modernisation program covering the upgrade, integration or replacement of legacy applications and digitising work which would give organisational agility. The Chief Information Officer would assist the NRCS on the modernisation system. Key challenges included operational challenges, border enforcement challenges and revenue challenges. A court case was lodged by the Johannesburg Municipality against the DTI, which dealt with the question of whether NRCS could overturn a decision by a municipality. It was a constitutional matter and results were awaited. The financial overview showed a deficit for the first quarter. Reasons for this was that the budget was divided equally across 12 months instead of according to activities, the declaration was aligned to a calendar year which did not match the financial year and not all the revenue the entity was aware of was recognised. Mr Williams wanted to know about the audit action plan for the 10 points noted by the AGSA. The entity’s outcomes were worse than the previous year – what was it going to do to correct that? Adv A Alberts (FF+) noted the work of the NRCS was very important to keep products safe for consumers and to ensure decent standards. The entity talked about legislative changes - why was there a need for legislative change? Did the entity have any standards for electronic components or computers in vehicle? Vehicle electronics were becoming more complex and some vehicles in SA could even drive themselves for a few seconds. There were also problems with vehicles such as the Ford Kuga and he wanted to know whether NRCS investigated the matter of the Ford Kuga. There were no specifications for the electronic tolling system in Gauteng. Had those specifications been developed and, if so, did the system comply or not? Mr Macpherson found there to be improvement at the NRCS and public feedback confirmed that. However, he was concerned about backlogs, even in the first Quarter. What was the backlog at the moment? If the CEO did not have that figure with him, he was requested to supply it to Mr Macpherson. The Committee was determined to hold the NRCS accountable for the implementation of the ICT system but it did not seem to be ready to take off on 1 January 2018 as indicated in the timelines that NRCS provided the previous meeting. Why was it not going to go live by 1 January 2018 and what was the main contributor to the delay? When would the system go live? Industry was waiting. The Minister regulated new VCs for products that charged via USB. Why were all those items treated the same? What was the rationale behind that? He appealed to the Chairperson to commit to the monitoring of the ICT system. The Chairperson noted the issue about the levy periods and the alignment thereof had first been raised by the Committee in 2015 and she had followed it up with the Minister, so she assumed the issue was addressed. If it had not been, why had it not been addressed? The Chairperson noted the problems regarding the policy about personnel but she was worried about the number of cases that had to be taken to the Commission for Conciliation, Mediation and Arbitration (CCMA) as a result of job evaluation. Could the NRCS explain what was happening there? She wanted to know which posts were affected by the moratorium. For what projects did the CEO need consultants? Mr Mamadise informed the Chairperson the Project Manager, to whom he had referred earlier in the meeting, was responsible for the Modernisation Project as the NRCS did not have the internal expertise to manage it with the current staff. The entity was taking lessons from CIPC in implementing ICT change. One of the success stories from CIPC was to have a dedicated Project Manager, which it discovered after a couple of failures. NRCS also learnt the lesson from a previous, unsuccessful, ICT project. NRCS had limited resources and could not take a risk with the Modernisation Project as it had to get it right first time. NRCS embarked on a process to identify the positions vacant and also needed to reflect why General Managers were required for small departments, of only one or two persons. NRCS was currently filling posts. Two cases were pending at the CCMA. One was a manager and the other was the industrial relations specialist who complained about the moratorium on notch increases until all managers were at a specific level. The entity took a decision to ensure all managers were on the same level but the two employees had taken this to the CCMA. NRCS identified the levy as possibly helping and it engaged DTI, based on a legal opinion - one proposal was that it should be left open and the second option would be to amend legislation. He did not have specific figures regarding backlogs. 2 900 applications were carried over from the previous financial year. NRCS came up with interventions and caught up with the backlog. In January 2017, it was decided to allow managers back to ordinary work but that was a premature decision. Challenges regarding ICT modernisation included resignation of key stakeholders and resignation of a key champion. Furthermore, when the undertaking was made that the Project would be up and running by the end of December 2017, some matters were not taken into account. End users had not engaged with the process. Change management was important in implementation of a change of that magnitude and so employees had since been bought onboard. In addition, NRCS found responses to the tender addressed support only. The entity wanted a combined system which would include both EAP and the operational environment but it decided to implement the two systems in a parallel, but integrative, system. He explained to Mr Macpherson that it was difficult to tell how long it would take as the organisation did not have the necessary skills to develop a business system. The key was to get the CIO and the Project Manager onboard. The delay in the appointment was that the CIO and the Project Manager positions were not in the structure of the entity and the level of the positions had to be evaluated before they could be advertised. Mr Mamadise told Mr Williams the audit action plan was discussed with the AGSA and NRCS gave the AGSA options for addressing the qualifications issue. NRCS was required to propose options, which it did, and which the Audit technical team would address. NRCS had a target to amend all HR policies by the end of November. The issue of leadership was linked to the audit qualification because leadership was not able to account. He responded to Mr Alberts saying he touched on legislative changes. As the Regulator, the NRCS participated in the World Harmonisation Forum and the issue of motor vehicle electronics was raised. They would align with any developments. The entity addressed the Committee on the Ford Kuga the previous year. NRCS did not regulate the coolerant. Sanrail approached NRCS to develop regulations for the electronic tolling system. Mr Macpherson was deflated after hearing about the delay in the ICT programme. He said the CEO should have addressed the Committee on the issue much earlier. He wanted a revised plan, which included dates and responsibilities, to be provided to the Committee. The Committee took its foot off and it meant NRCS stopped its ICT implementation. Ms Mantashe suggested that NRCS needed an overall turnaround strategy with the DTI and AGSA. The Chairperson suggested there was a need for the Committee as a whole to address the matter and to get feedback in terms of plans etc. Adv Alberts followed up about electronics systems as there were many vehicles on the road with electronics. It seemed the Ford Kuga’s problem was not the coolerant but electronics as the car started itself. The Chairperson believed the CEO was not fully briefed on the issue of the levy as she was informed legislation was gazetted in March 2017. The CEO had to follow it up and provide a response in writing. The Chairperson noted the Group Operating Officer of DTI left people in charge but they had taken themselves off. She noted that a Mr Dimana was there and he could pick up the pieces. The Committee needed a senior person from DTI at all times. The Chairperson was making herself clear, on record. She was not going to accept that Parliament be treated with disrespect and was making this clear it in public. Minutes of the meeting held on 9 May 2017 were proposed by Ms Mantashe and seconded by Mr Williams. Minutes of the meeting held on 24 May were proposed by Mr Williams and seconded by Ms Theko. Minutes of the meeting held on 14 June were proposed by Ms Theko and seconded by Mr Williams. Minutes of the meeting held on 27 June 2017 on Debt Relief. Mr Williams noted that the attendance register had not been signed. The Chairperson instructed the secretariat to ensure that the attendance register was circulated and signed at each meeting. The attendance register was to be signed by all Members who were present at that meeting. The Minutes, with amendments, were proposed by Mr Williams and seconded by Ms Mantashe. The Chairperson noted that SABS had requested to speak while the Minister was in attendance. He had had to leave early but if he were in his office he would be watching the proceedings and, if not, he would receive the recording of the meeting. The Committee would meet the following day to consider the Bill on Debt.